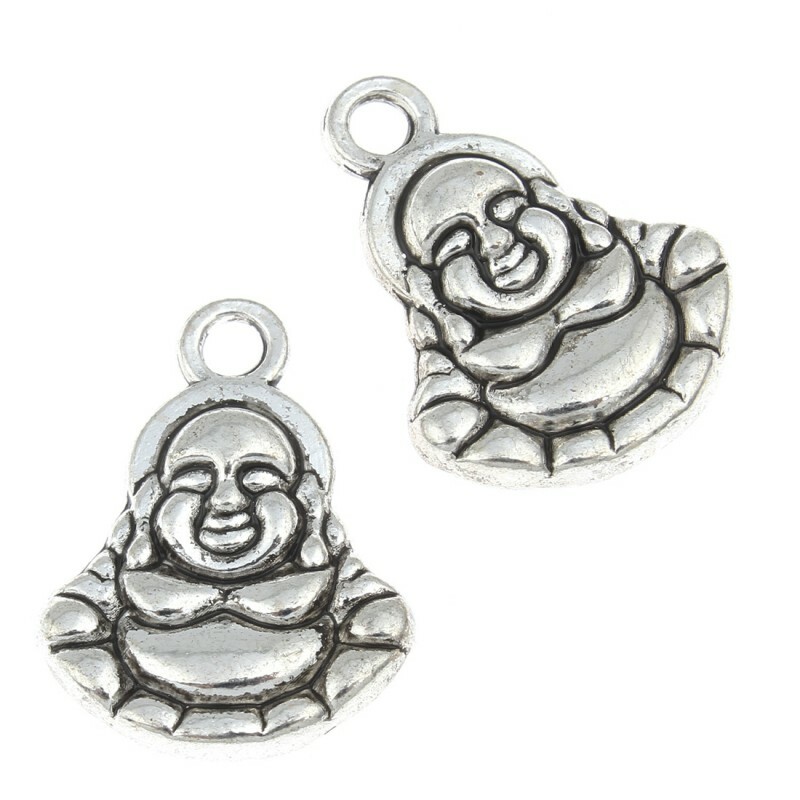 Charm made of antique silver color zinc alloy with relief drawing of Buddha on both sides. 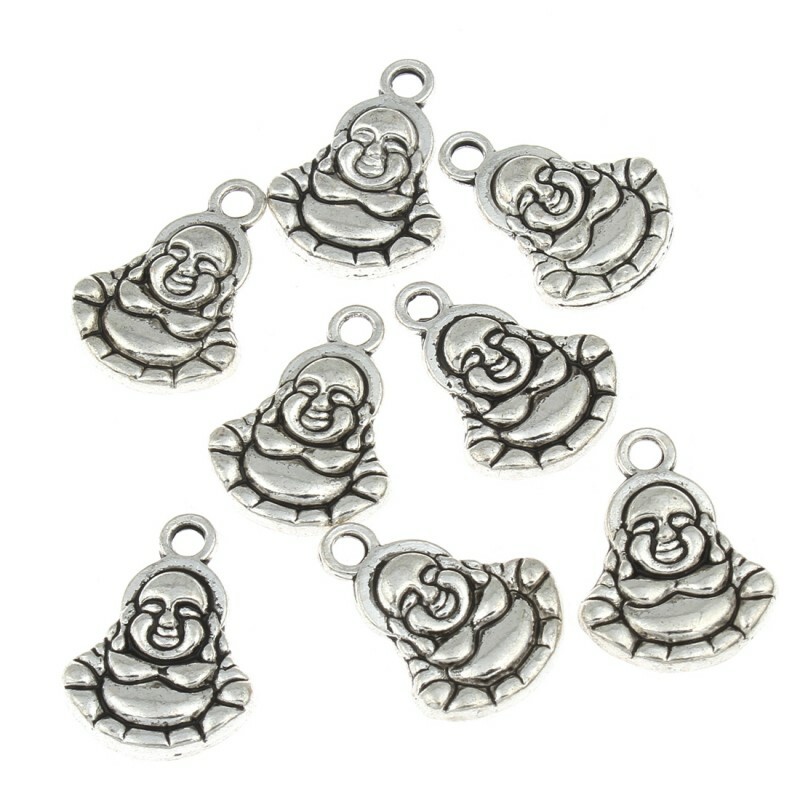 These charms measure 14 mm x 19 mm and have a hanging hole of 3 mm diameter. They can be used to mount jewelery, being part of bracelets or key chains. They go in bags of 20 grams that contain about 10 units.